Sevilla striker Álvaro Negredo has been linked with a number of Premier League clubs this summer, and although his agent stated that he would only leave Sevilla for a Champions League club, perhaps Negredo will run out of offers this summer if teams pay a bit more attention to his numbers. The 27 year old striker suffers from a weird case of consistent inefficency. The former Real Madrid and Almeria player seems to have a habit of following a good year with a bad year pretty much all his career. And after scoring 20 this season in Seville, you can figure out yourself what Negredo’s next season would be. In his first real season in Spanish Second Division, the 2006/07 year, Negredo played 40 matches for Real Madrid B team scoring 18 goals. 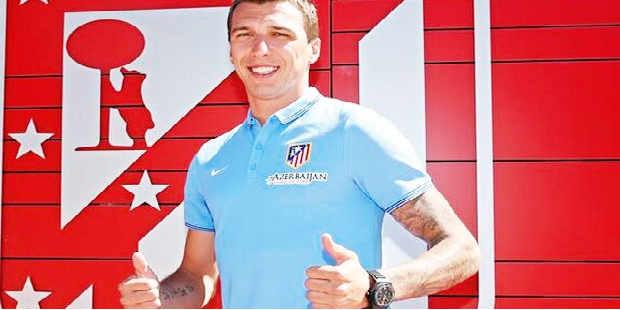 After that, the Spanish international was top of the list of many Primera teams before eventually signing for Almeria. Negredo’s first season in Almeria wasn’t really a bad one, especially for a youngster who tried First Division for the first time but his tally of goals, only 13. 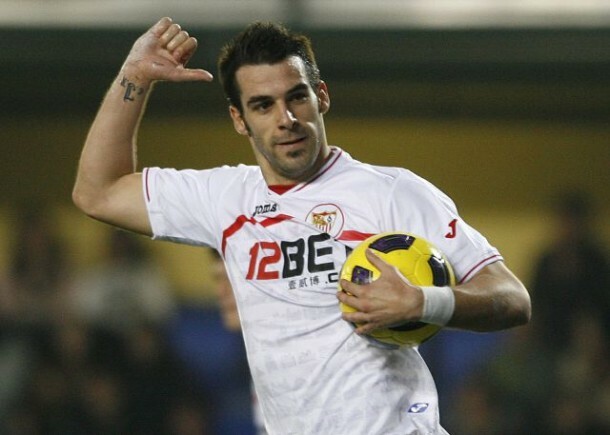 Next season already set in Almeria, Negredo exploded with 18 goals despite playing two games less. He was ready for another big move and despites rumors to the Premier League, he landed in Andalucia’s capital, Seville, to play with twice UEFA Cup winners Sevilla FC. But, maybe due to the adaptation to a new team Negredo’s goal record drop once again this time to 11 goals, even though he played one more match than the year before. True to form, Negredo put an official mark on his‘good year-bad year’ combination by scoring 20 goals the following season, playing all 38 La Liga games. With Negredo settled in his new team, many expected Alvaro to kick on and fulfill his staggering potential, but last season (11/12) his goalscoring record dropped again to 14. And while he did get a call up to the Euros by Vicente Del Bosque, there was a lingering sense of dissapointment that the season did not bring more. Now, this time around, Negredo has already netted 20 times and is having the best season of his career to date, all reasons why he is hot in demand this transfer window. But if you are paying attention, by now you should know that his new team are going to be disappointed if they are expecting another 20 goal season. Though, they would get one if they wait one more year. Perhaps the most interesting fact about Negredo is the pretty much opposite relationship that his accuracy has with his number of goals. With one exception, in the season he has scored less, he actually has had better number in terms of shots on target per shot. In the 09/10 season he scored 11 goals shooting on target 47.8% of the time, then he scored 20 goals in the 10/11 season shooting on target 49,53%. Next year in the 11/12 he scored 13 shooting on target 43.37% of the time, while this season he has the worst average of all despite scoring 20 goals shooting on target only 34% of the time. If we combine both bad year and both good years, Negredo scored 24 goals while shooting on target 45,45% but scored 40 goals shooting on target 41,32% of the time.